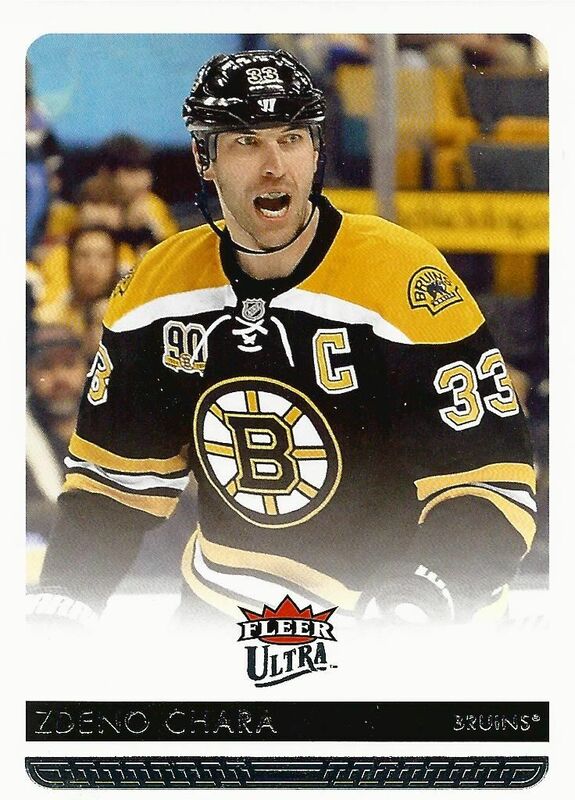 Fleer Ultra is a product I desperately want to like. It's a brand that was respected in the past that had some pretty sweet insert cards. 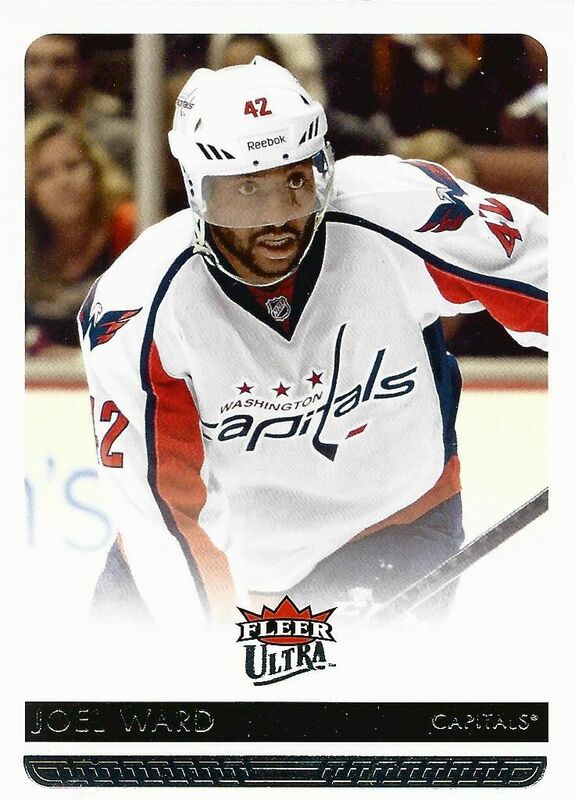 Upper Deck chose to keep the insert theme as its main focus when it released 14/15 Ultra last year. Hits were hard to come by... even at the hobby level as they were not guaranteed if you bought a box. 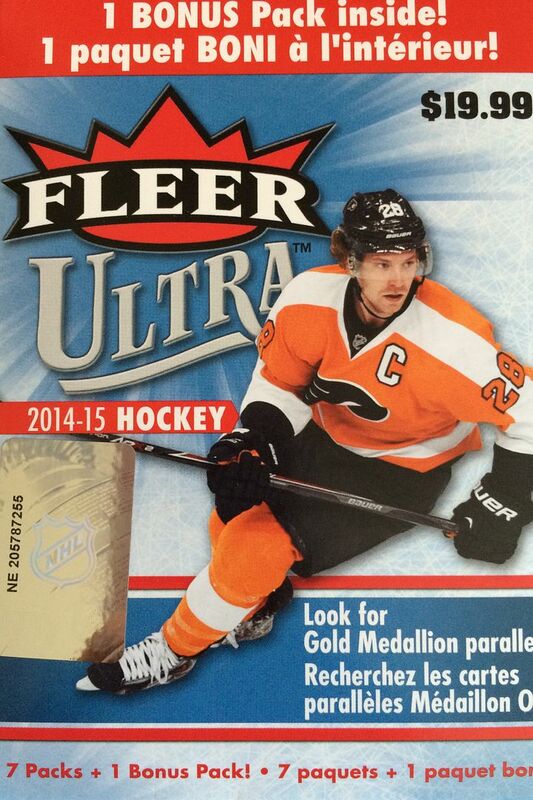 I think Upper Deck considers Fleer Ultra to be a mid-level product. I say this because of it's price point relative to it's base Series 1 and 2 brands. At 19.95 for 8 packs, it's right there. I, however, considerate not even close to mid-level! To me, Ultra is squarely in low-end territory. 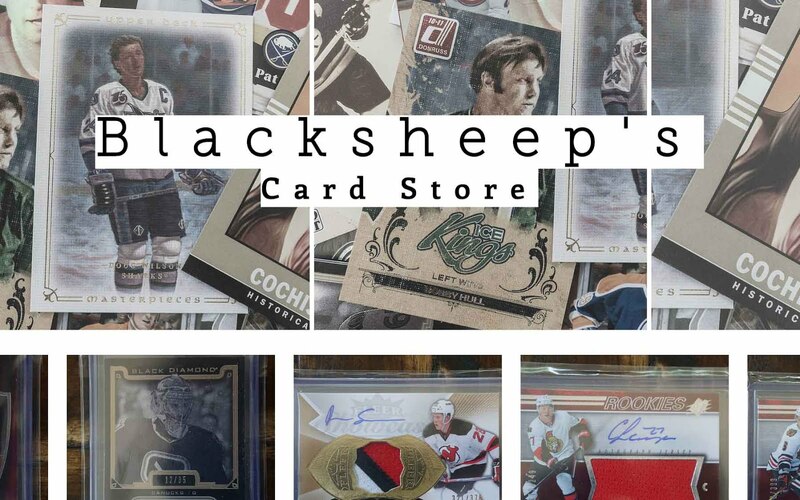 The cards look low-end in design and nothing in the set has much value on the secondary market. 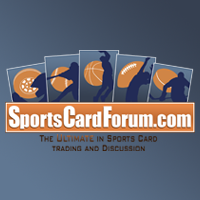 With UD Series 1 and 2, Young Gun rookie cards have the potential to hold some great value. There is no such cards like that to find here in Ultra. Blasters of this can now be found for about five bucks. That's probably the right price for these things. And that's how they should have been priced initially... well... maybe $9.99 on release. But $19.99??? You gotta be kidding me! This blaster was absolutely terrible. I saw base card after base card with only two Gold Medallion cards that I frankly didn't care for. It was a very disappointing break. I was hoping for a least one insert card... just one to save the day! Fleer Ultra has some nice inserts in the product that are all foil and some that also feature die-cutting. Getting one of those would have made this break more palatable. There really isn't anything that saves this break at all - it was terrible! 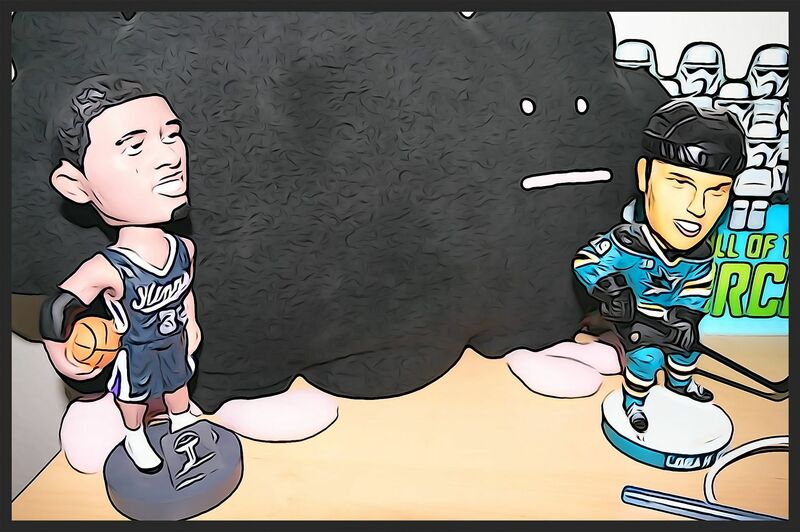 He's not in a Sharks sweater on this card, but seeing Ward come out of the blaster was nice as i was reminded of the good work he put in for the team last season. Chara is a huge defenseman that has a booming shot. I like the photo chosen for him on this card as it shows him jawing at someone outside the framing of the photo. 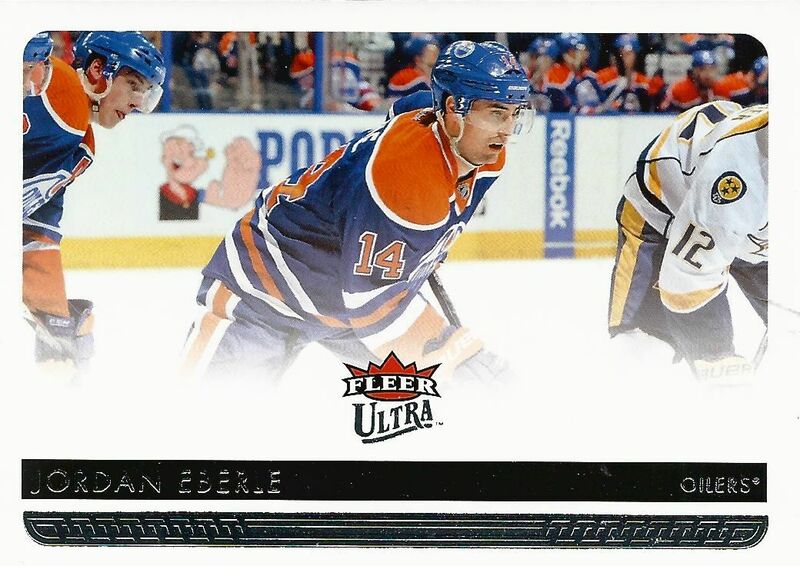 I enjoy watching Eberle play, and this card was probably my favorite photo shot in the pile of cards I got in the break. I wouldn't have been opposed to Upper Deck doing all the cards in this horizontal fashion. Even though this blaster was just five dollars, it sucked. There really wasn't anything positive here. I thought I may have gotten a photo variation card in the blaster but after checking I don't think I did as those cards feature Winter Classic photos. This was a sad break. I really hope things change for the better in next week's Retail Review. Find out with me in 7 days! This stuff looks like 90s Junk Wax. I was thinking about picking up a blaster just for the sake of "bustin' some wax" - but that was terrible.